Trick-or-treat! Marc Garneau celebrated the spookiest day of the year on 31 October 2017 with an eventful Halloween Spirit Day. 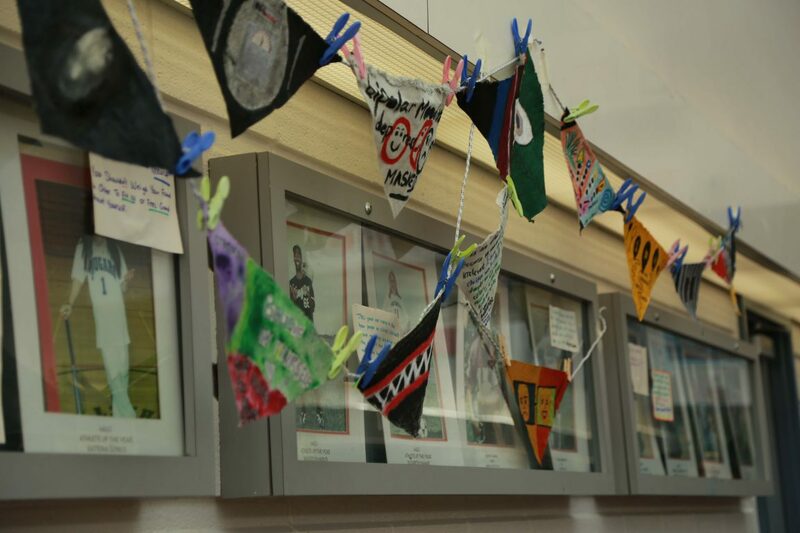 Students were treated to several Halloween-themed activities in the cafeteria, which was decked out in spooky decor. A Halloween fashion show and costume contest were held at lunch in the cafeteria for students and staff alike to show off their costumes. 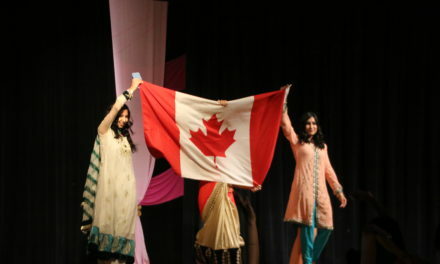 The audience deemed Grade 11 student Damisha Siddiqui the winner for her police officer costume, and she was awarded with a gift card. Partners also took the stage to participate in Garneau’s first ever mummy wrapping contest. One partner wrapped the other in a whole roll of toilet paper and the first team to finish the roll were crowned the winners and received prizes. SAC President Lisa Wang thought the addition of the mummy wrapping contest inspired more people to participate and “raised a lot of spirit.” A photo booth was also available for students to take and print pictures with their friends. Throughout the day, SAC members also distributed candy to students dressed in costumes. With the newly-implemented house colour system, students were able to win points for their house by dressing up for Halloween. SAC’s grade representatives visited classrooms and ranked costumes either strong, medium, or weak and awarded points based on the ranking. Additionally, MGCI’s Save the Syrian Children Club sold Halloween candy grams from 20 October to 27 October that were delivered on Halloween. All of the proceeds will be donated to Lifeline Syria. 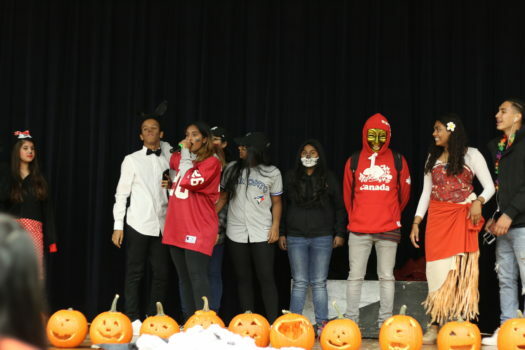 SAC’s Spirit Convenor Laksikaa Raja said, “I was very happy with the participation involving the Halloween contest and the mummy activity. It was great to see involvement with the teachers as well.” In the future, SAC hopes to increase participation through stronger promotion before spirit events. Sadia Akbar is a News writer for The Reckoner who evidently loves coffee and leather jackets.